MILAN (Reuters) -- Fiat's $4.35 billion deal to gain full control of Chrysler Group sent its shares to a near 2-1/2-year high in Europe today, despite doubts over whether the Italian carmaker could use the merger to cut losses in Europe. Investors welcomed the deal struck by CEO Sergio Marchionne, under which Fiat will buy the 41.46 percent of the U.S. automaker it does not already own, without raising funds from the stock market. However, analysts were concerned that the deal will increase Fiat's already heavy debt burden, despite a relatively low price negotiated by Marchionne after more than a year of talks. Fiat shares rose 16.4 percent in Milan to levels last seen in August 2011 after the deal, which aims to combine the two automakers' resources and rejuvenate Fiat's product line-up. It was the stock's biggest intraday gain since April 2009. "They paid less than the market had expected, and there will be no capital increase to fund this, so no wonder the stock is flying," a Milan-based trader said. Fiat will buy the stake in the U.S. group from a UAW retirees' health care trust fund, with Chrysler putting up most of the funding. "Group net debt will rise to around 10 billion euros ($13.8 billion)," they said in a note. "We continue to have concerns about the sustainability of this heavy debt burden." 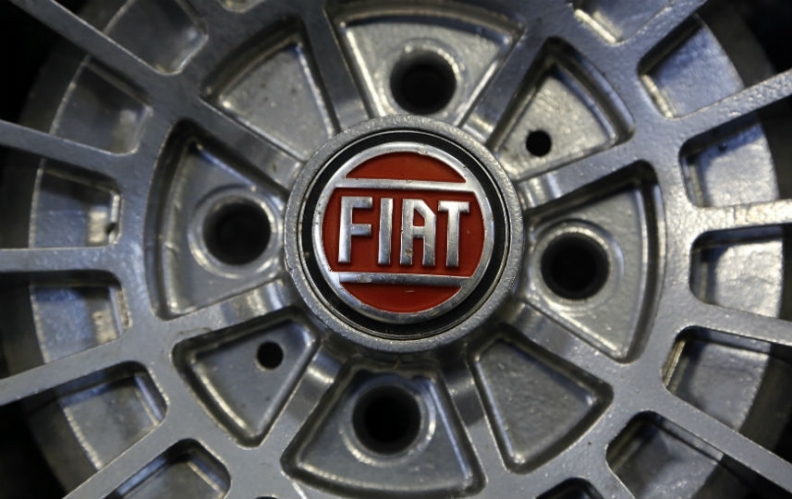 It remains to be seen whether the merger will cut Fiat's losses in Europe, where it had promised to break even by 2016. Fiat's plan depends on its ability to share technology, cash and dealer networks with Chrysler easily and cheaply. Chrysler and Fiat currently have to manage their finances separately. A full merger will make it easier -- but not automatic -- to combine the cash pools of the two companies, giving Fiat more funds to expand its product line-up. Fitch ratings agency said Fiat may not immediately be able to fully access Chrysler's cash as this would require a refinancing of the U.S. firm's credit agreement and bonds. Fitch will review its rating in early 2014. Chrysler's booming U.S. sales are now a profit center for Fiat, helping to offset losses in Europe. The deal raises expectations that investments could be channeled into underused Italian plants to launch new models in what analysts expect to be a steadying market from 2014. Italy's unions and government hope the deal will boost jobs and cut state spending. Several Fiat plants have been working only a few days a month, with thousands of workers currently in state-backed temporary lay-off schemes to avoid job losses. "It's essential that Fiat tells us what they plan to do in our country," Susanna Camusso, head of the CGIL union, said. Fiat has repeatedly reassured unions and politicians it does not intend to close factories, unlike some of its competitors, but doubts remain, given Fiat's growing U.S. presence. Analysts already said a U.S. listing could be the next step. "We assume Fiat will go on to pursue a U.S. listing of some sort in due course," Bernstein said in a note. Fiat has said it plans to build Jeeps and a new line of Alfa Romeos in Italy for export to markets in Asia, Latin America and the United States to offset flagging demand in crisis-hit Italy. A new industrial plan outlining Fiat's overall spending strategy and models will be released in April. "He's not getting any exposure to European recovery. The U.S. asset is not as good as its peers and needs money spent on it. Marchionne has shown he can get the job done, but I'm still buying a dream." Fiat shares closed in Milan at 6.92 euros, with traded volume more than seven times the previous three month's daily average.